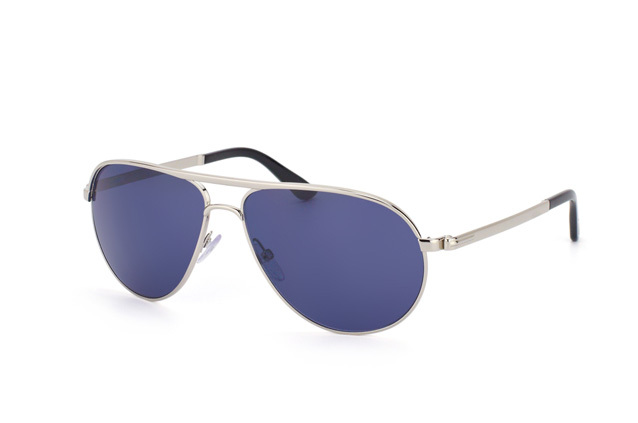 The MARKO FT 0144 / S 18V sunglasses for men boast a glossy silver frame made of metal, robust hinges and perfect construction down to the last detail. 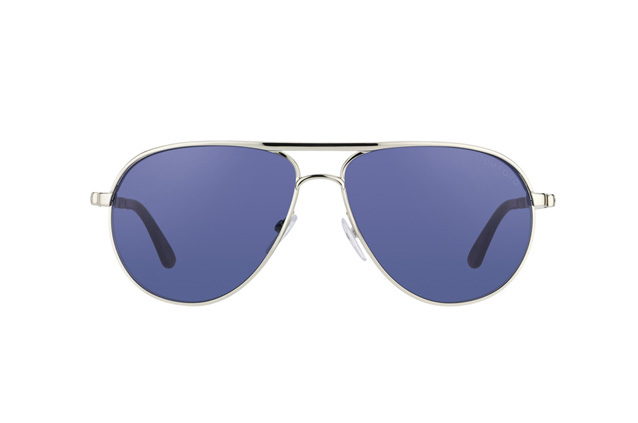 The teardrop-shaped lenses typical of pilot glasses are a must this season, the blue colour scheme so cool it could probably replace air-conditioning in summer. In other words, typical Tom Ford. 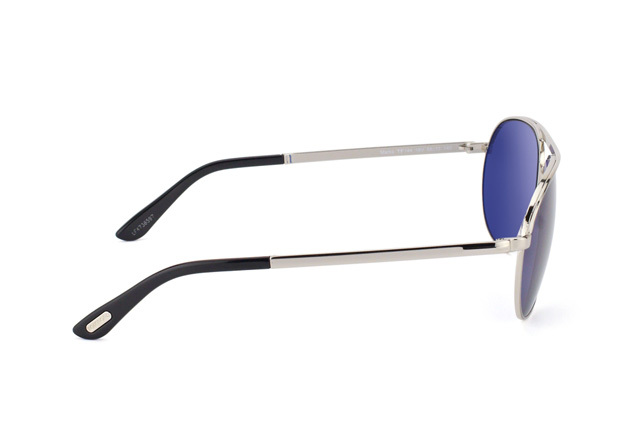 Tom Ford is one of the most popular and renowned glasses designers in the world. He moved from Gucci to set up his own brand, and his models are known for being luxurious, glamorous and cool. The designer places a value on warm, natural colours, predominantly classic forms and diverse materials such as plastic and leather. Metal, gold-coloured parts at the hinges lend a glamorous sheen and emphasise that exclusive, stylish impression.